Best Wholesale Price Faux Mink Lashes Strips With Your Own Packaging, 100% Hand Crafted With Top Quality. 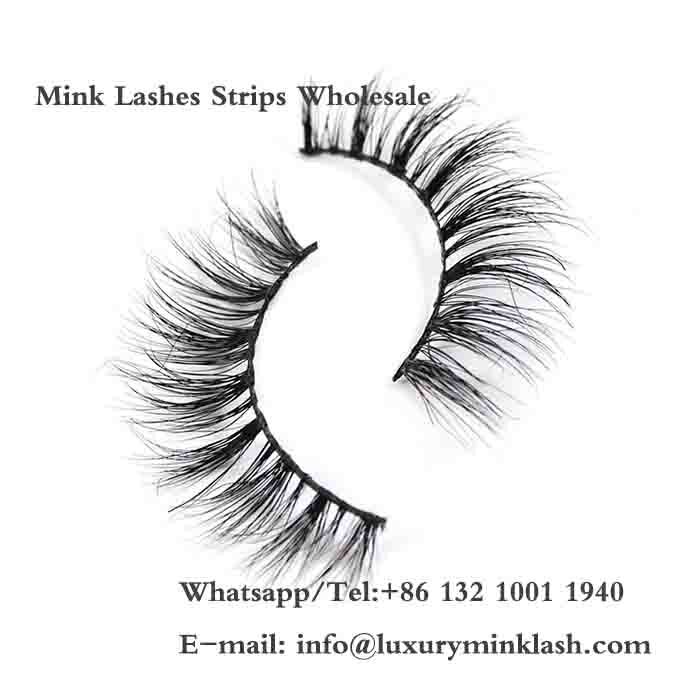 We Have More Than 200 Styles of Mink Lashes Strip Now. We Custom Design Also according to your request. Previous: There are no articles in front. 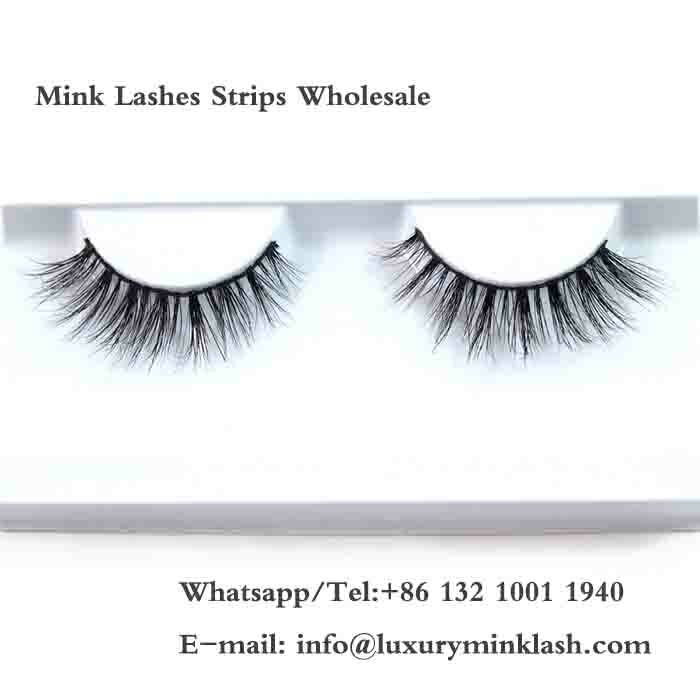 Mink Lashes Strips Wholesale Hand Made Real Mink Lashes Strips Worldwide. Luxury lashes are perfect fusion with our own eyelashes! 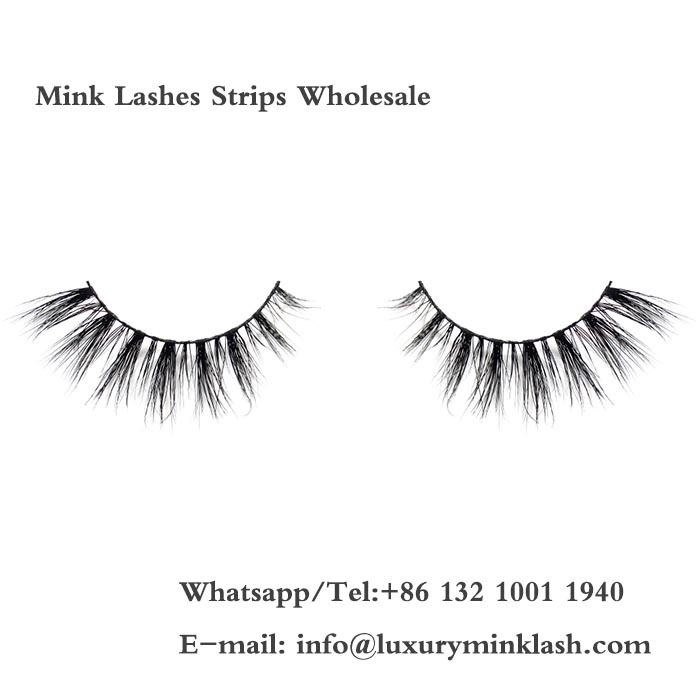 We sell wholesale mink lashes to customers, so whether you're a make-up artist, beauty school, beautician, hairdresser, beauty salon or just someone who loves to wear lashes, place your bulk order with us now! STRIP LASHES: Wholesale prices for worldwide. 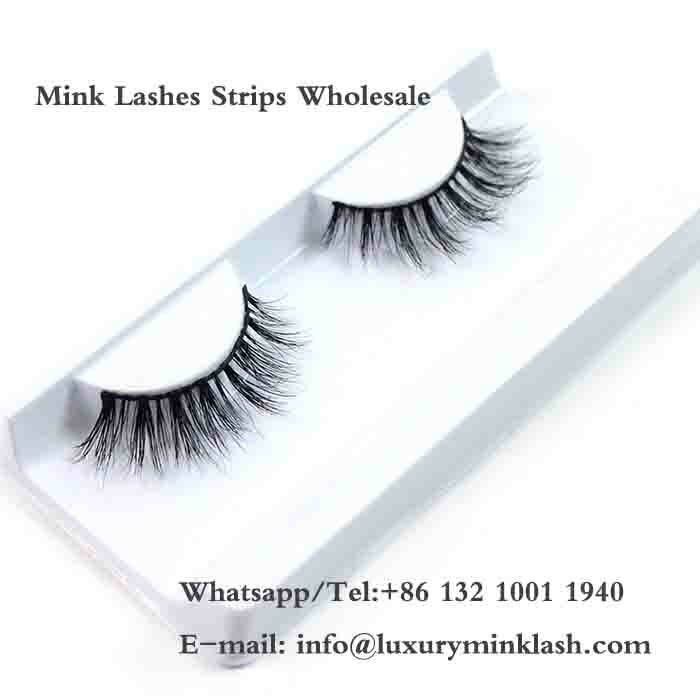 If you want to get more styles of mink lashes, come here, there are thousands of mink lashes styles in our factory. As comfortable as our lashes, Up to 25times, no mascara any more. Samples 1-2days after order confirm. Mass products based on order quantity. Q1. Can I have a sample order for eyelash? A:Existing sample need 2-3 days, custom sample needs 15 days ,mass production time needs 2 weeks for order quantity for 500-1000 pairs. Q3. Do you have any MOQ limit for eyelash order? A: Low MOQ, 1pair for sample checking is available. Q5. Is it OK to print my logo on the product? Q6. How long can I expect to get the sample? How about the mass production? We are honored to offer you samples, usually in 2-4 working days. The sample will be sent to you via express and arrived in about 4-7 working days. The lead time for mass production based on the order quantity and the season you place the order. Generally speaking, 4-7 working days for mass production with printing, 3-6 working days without printing. Q7. Are the price on your website trade price? When can I get the price? Q8. How do I take care of the lashes? You must cleanse your lashes daily and brush them. We will provide you with a brush and gentle cleanser. Q9. 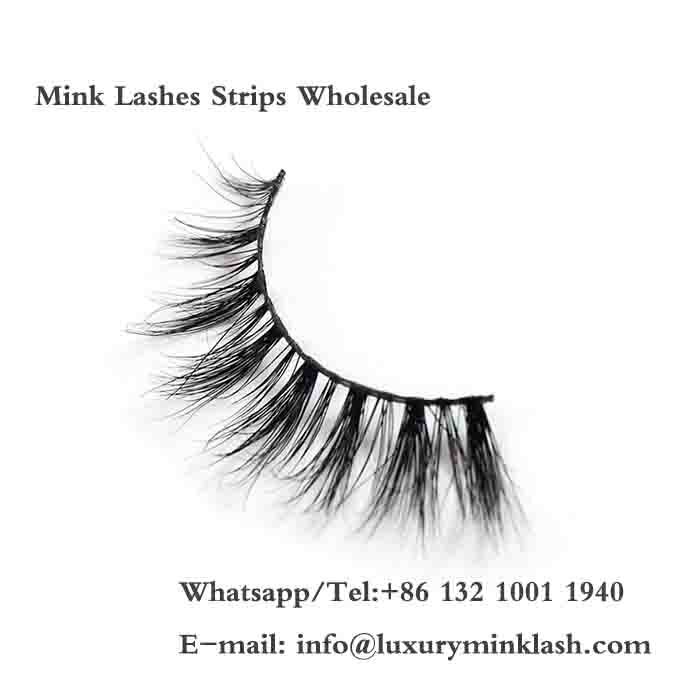 What is the difference between mink fur and horse hair lashes? Both lashes are of the highest quality. It all depends what you are looking for. Mink fur provides a more dramatic wispy look while horse hair is more subtle, delicate and feathery. We highly recommend you try both. Q10. Can you curl and use mascara on the lashes? Our handcrafted genuine mink and horse hair lashes already have a natural beautiful curl. However if you choose to curl them , you can curl the lashes as if they are your own and the curl will maintain its shape for a long time. We do not suggest using mascara on the eyelashes as it will give them a less natural look and provide less wears. The horse hair particularly can not handle mascara because of it’s delicacy. Wear them as is, believe us – they are perfect! 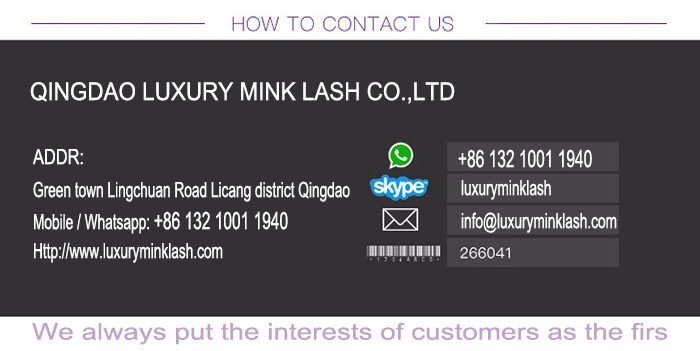 Any inquiry about Hand Made Real Mink Eyelashes Strips,kindly to contact with us.